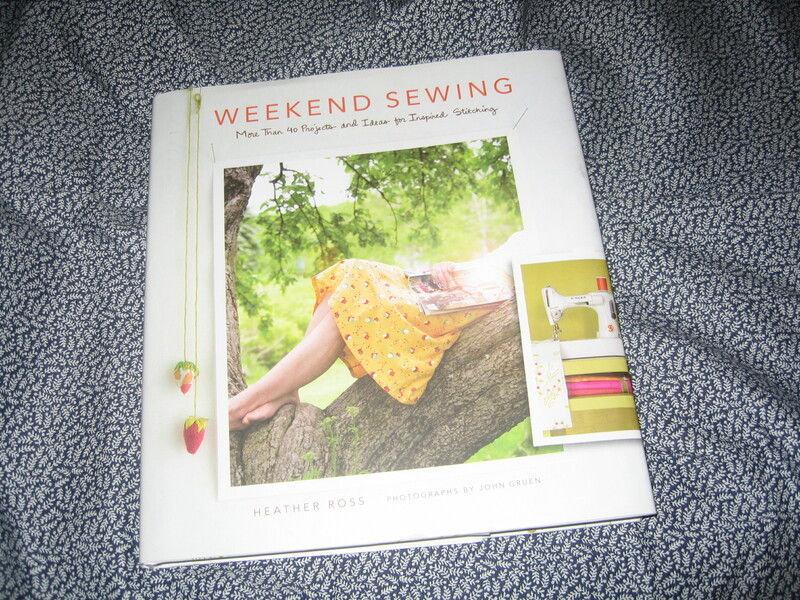 The “Yard-Sale Wrap Skirt” pictured on the cover of Heather Ross’ book, Weekend Sewing, sold me on the book and the opening description, “…can be easily made in one afternoon” moved this project to the top of my summer sewing list (which I was now making in mid-July, a couple of years after the book was published). I was not deterred when a power failure put a hold on my afternoon sewing plans. When the lights came back on 69.5 hours later, I was ready to go. And, being a confident seamstress, I did not take the time to read the size information; when I was slightly stumped by the waistband directions, I reached back into my sewing brain archive and just assembled/attached it the way I had in past garments. So … when I finished my skirt and went into the bathroom to put it on and model for my family – saying from behind closed doors, how easy this pattern was and “by golly I am not going to buy another clothing item this season, I will make whatever I need. In fact, I can tell I am going to love this skirt, I am going to make it in a big print next, maybe even tomorrow.” Then I put the skirt on and realized to my horror that the small/medium size did not fit! Not even close – I needed a “large/extra-large”. Yes, I was that confident before I cut the skirt out that I did not even hold the pattern up to see if it would fit … heck, it’s got six panels, certainly they will all go around me and overlap at least a panel … I only weigh 5 pounds more than in high school, okay so the pounds aren’t in the same places, whatever … my stomach is a little less firm then it used to be, but, but, but, but … maybe I can make it work anyway. So, I came out of the bathroom, a little less perky than when I went in, and said “what do you think? Does it look too small when I walk?” My husband commented something to the effect of as long as it was very still outside and there was not a bit of wind it would be fine. Great. I tried wrapping and tying the skirt in different places and in the end realized, I need to get off to the gym and start working those abs like I am auditioning for some action film in which I will be wearing midriff tops throughout. Or, make the “large/extra large” size. Or … this might be the best option, make the “small/medium” size but add 3 inches to each panel. There we go, then I can still say I made the “small/medium” size, kind of. Enough about my shifting proportions (okay, I’ve said it, kind of). What I really should have done – in addition to reading the measurement information and fitting the pattern before I cut the fabric – is gone on the Internet and searched for comments from people who have all ready made this skirt. I would have seen a number of comments about the sizing and some other tips about making the skirt, even on Heather Ross’ blog. That is the beauty of the Internet and blogs, you can learn so much from the sewing experiences of others. So, my advice when making something from any pattern or book, take a minute and look online to see if there is anything you need to know before you sew – insights from other people who sew or corrections from the author. 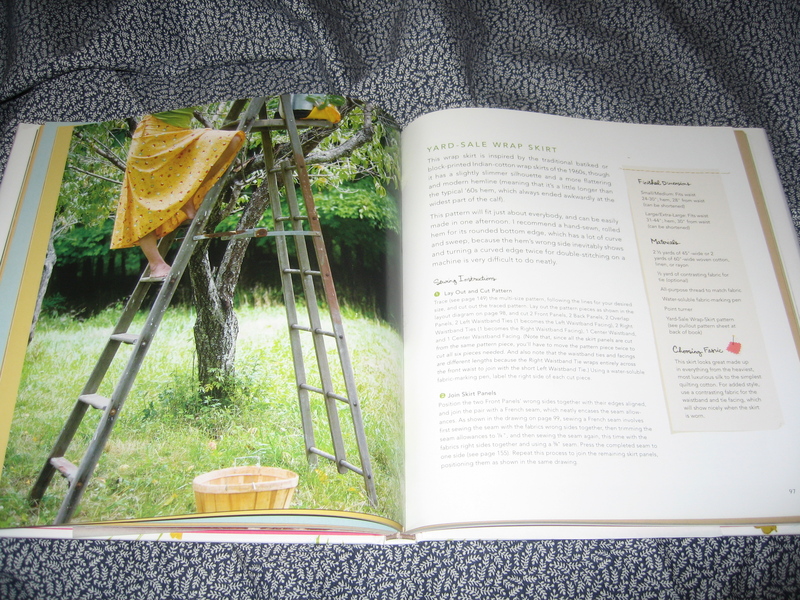 This entry was posted on July 20, 2011 at 4:56 pm and is filed under Books, Creative Habits, Quilting & Sewing. You can follow any responses to this entry through the RSS 2.0 feed. You can leave a response, or trackback from your own site.